This page is continually being updated, so please visit often. 3rd September Foundation meeting at Dar il-Lunzjata (limits of Victoria). 9th October Statute approved and members of the first Committee elected. 28th December First public activity at Cathedral Public Library. 30th -31st September Sets of Millennium cards (can be considered as the first of numerous philatelic productions). 12th February Official launch at Tigrija Palazz (Victoria) and first issue of GPS Newsletter. 25th March Religious Stamp Exhibition at Dar il-Lunzjata, together with Mass at Lunzjata Chapel. 25th April Exhibition at Xaghra local council. 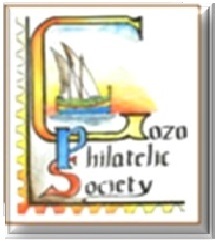 1st May Postmark for centenary of first Gozo Branch Office. 27th May Opening by Minister G Debono of First GPS Philatelic Exhibition (at St Francis Square Halls). 21st -22nd October Participation in "Maltex" Philatelic Show. 1st November Launch of essay competition for schoolchildren, in collaboration with Royal British Legion. 4th January New Year Stamp Fair at Banca Giuratale (Victoria). 20th January 1st Annual General Meeting (at NGO Centre, limits of Xewkija). March Participation in special Lent Exhibition. 24th March Members' Meeting at Lunzjata (followed by Mass). 11th June First official contacts with Education authorities. 19th June First social activity (Pasta Night). 22nd June First school information visit. 13th October Inauguration of 2nd GPS Philatelic Exhibition. 25th November First use of Victoria Scouts HQ for Members' Meetings (with Exhibition prize-giving). 18th December Co-ordination of members' exhibits in first Christmas Exhibition at Gozo Lending Library. December Participation in Christmas Exhibition at St Francis Square Halls. 27th January First use of Victoria Scouts HQ for Annual General Meeting. 13th April Members' Meeting (followed by Mass) at Lunzjata. 27th -31st May Participation in De Soldanis School extra-curricular week. 18th October Official opening of 3rd GPS Exhibition. 15th December Members' Meeting (with Exhibition prize-giving). 9th February Members' Meeting at Munxar Parish Centre. 25th March Members' Meeting (followed by Mass) at Lunzjata. 28th April To commemorate our first collaboration with a parish, GPS officers presented special illuminated cover to St George's Archpriest (first of numerous similar occasions). 2nd May Outing to Malta for the Seminary School Club. 1st August The GPS secretary, authorized to represent GPS for foundation meeting of Gozo NGOs Association, is elected Association President. 6th October TV feature about the GPS (first of many). 18th October Opening of 4th GPS Exhibition. December GPS highlighted in main Maltese student monthly (just one of various features about the GPS in local and foreign periodicals). 11th January 4th AGM (with Exhibition prize giving). 27th March Malta visit by Seminary School Club. 7th April Lecture for Seminary Club members. 13th May Seminary Club Exhibition. September Series of series of programmes on Lehen il-Belt Victoria - first of many participations on community radios. 12th October Setting up of 5th GPS Exhibition. October Special 5th anniversary GPS Newsletter (including full-colour). 5th November Opening of Marian Exhibition at Ta' Pinu Complex. 23rd - 24th November "Philately Day" at Seminary Secondary School. 12th December "Pauline" Stamp Exhibition at Munxar. 16th January 5th AGM (with Exhibition prize giving). 30th March Members' Meeting (followed by Mass) at Lunzjata. April Participation in Gozitan NGOs visit to Germany. 22nd April 2nd Stamp Day by Seminary Club. 29th April Opening of "Europa & EU Stamp Exhibition" at Banca Giuratale. 1st July Malta visit by Seminary Club. 12th October Specially-ordered se-tenant Christmas stamps. 4th November Official opening of 6th GPS Exhibition. 6th November Philatelic Auction during Exhibition. 25th November GPS participates in Commonwealth Peoples' Forum Gozo Day.